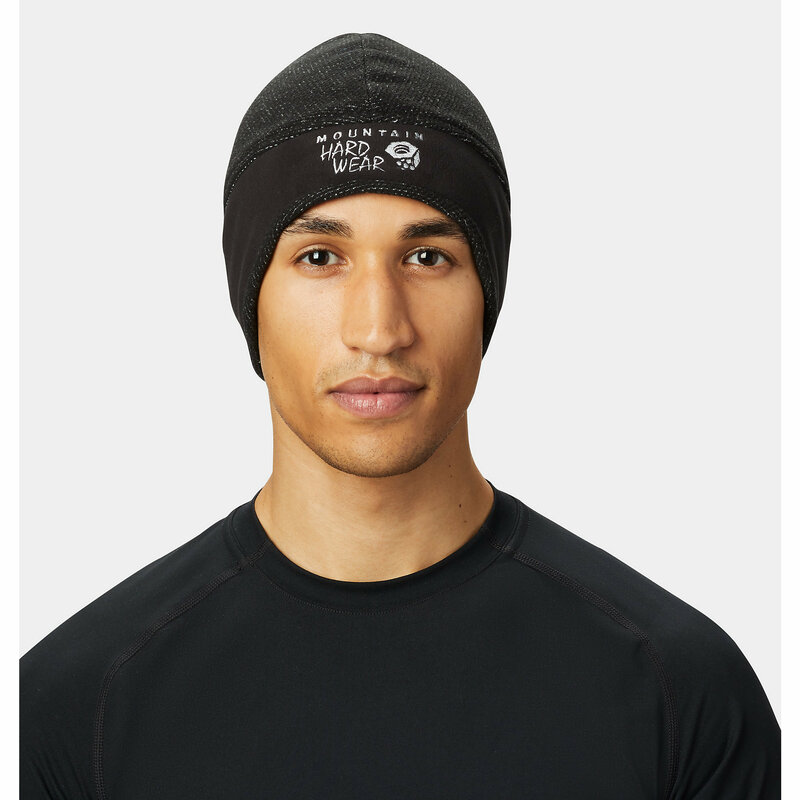 Visit Canada Goose's Aviator Hat page. Inspired by the classic style of a bygone era, the Canada Goose Aviator Hat brings the warmth and durability of a pilot's hat to ski slopes and city streets. 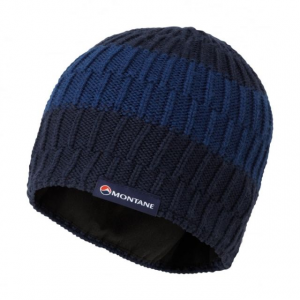 Triumph over a cold climate from the Klondike to Katadin with the insulating power of 625 fill duck down and the water-resistance of Arctic-Tech poly/cotton blend fabric. 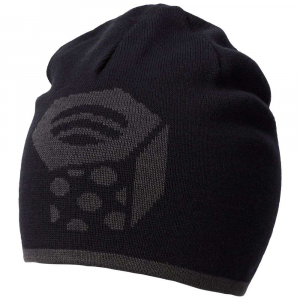 Lined with nylon, this cap will wick moisture to keep your head warm and dry. 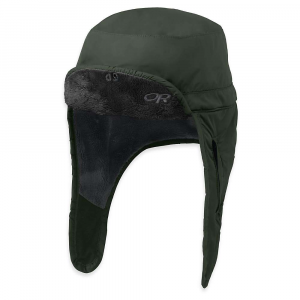 A supremely soft coyote fur ruff visor and ear flaps utilize the natural frost-fighting properties of fur that Arctic explorers have coveted for decades while an adjustable buckle chin strap keeps this winter hat securely on your head through a blizzard. 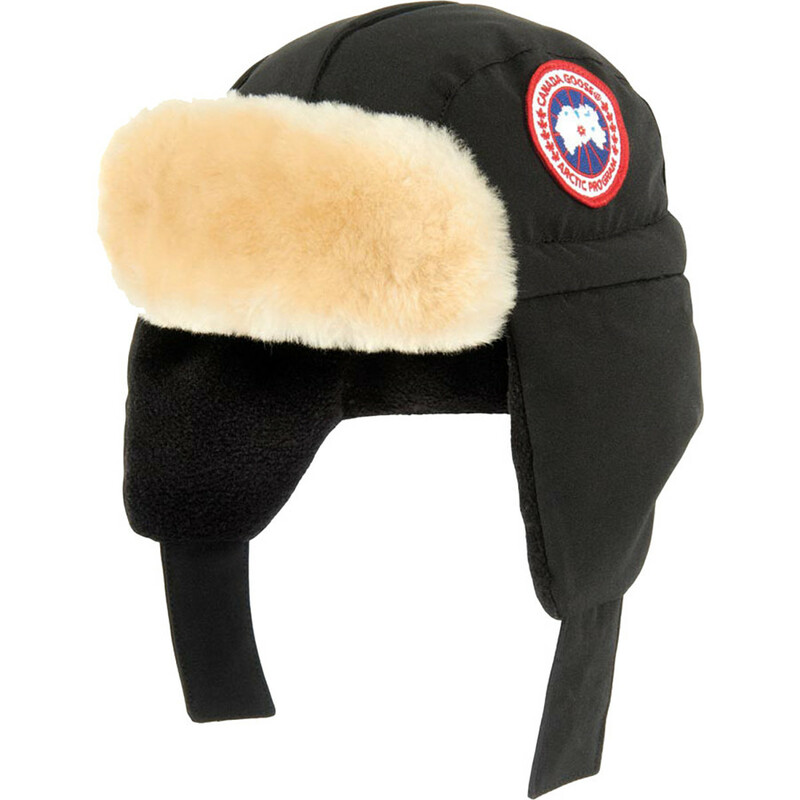 With style to match any Canada Goose jacket or parka, the Canada Goose Aviator Hat is offered in a wide array of colors for men and women. Canada Goose made the classic down aviators hat with coyote fur ruff transcends a bygone-era of flight to winter slopes and streets. 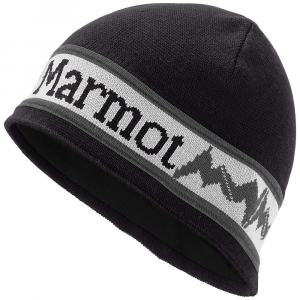 Shell Fabric	 190 gsm, Arctic-Tech 85% polyester /15% cotton blend with a DWR. Lining Fabric	 55 gsm, Nylon plain weave treated with water repellent. Fill	 625 fill-power duck down.